A SharePoint data list can have a field of type = Choice which is used to provide the options for a dropdown control. 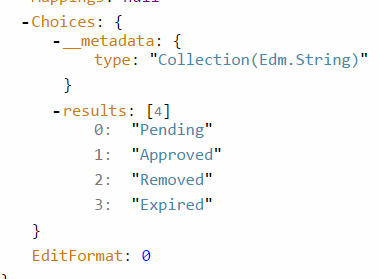 When building SharePoint apps with AngularJS, we need to build the dropdown control with the options that are defined by the field’s metadata. Let’s see how we can go about to get this information. 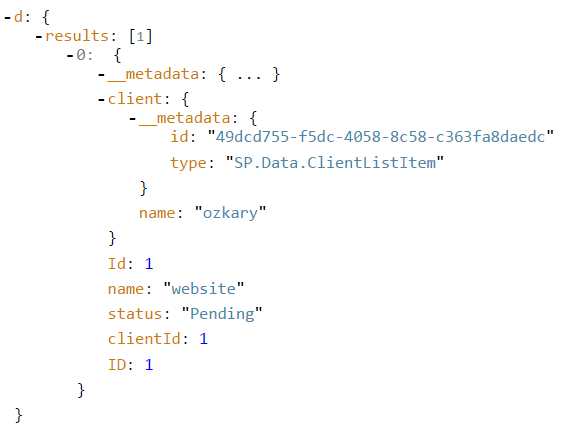 When making the call to get the data list status information, we need to send on the request an OData parameter to tell the API that we are interested in getting the information from a particular field. In our case, we need the metadata from the Status field which includes the choices that are available. Note that the Choice field does not provide a text/value pair. It only provides the text part of the options. This must be used for the value/text properties of the drop-down control. 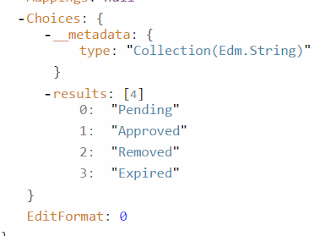 When updating the model and consequentially making a Create/Update API calls, we must persist the text value as this is the expected data (constraint) on the data list. The getbytitle API is used to query a list metadata as well as data. 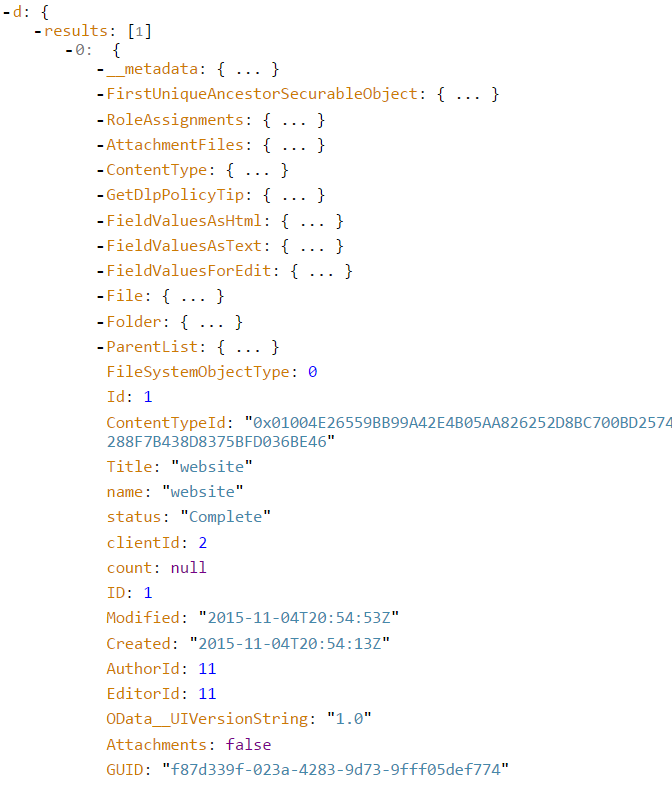 The Fields route segment is used to tell the API that we are interested in requesting field metadata information. This is where the options are defined. The $filter OData parameter is used to tell the API which field we need to query by filtering on the title property. The choices property is contained on the response Value property and has a results array. The request is made by using the OData $filter request parameter. If the response is OK, the statusOk function is called. Otherwise an error is return by calling deferred.reject(err). In the statusOk function, the code iterates thru the list and builds a JSON array that contains the value/text pairs. This is the model for our dropdown. Since there is a bit of data mapping/transformation that we need to do, and we want to encapsulate this away from the controller, the Status method returns a deferred promised. This allows us to handle the asynchronous request and perform the data mapping yet still keeping the asynchronous behavior. We then return the transformed data by calling deferred.resolve(list). The ctrl.statusOptions is the model that holds the options for our dropdown on the view. I hope this tip helps you build SharePoint Apps with AngularJS.